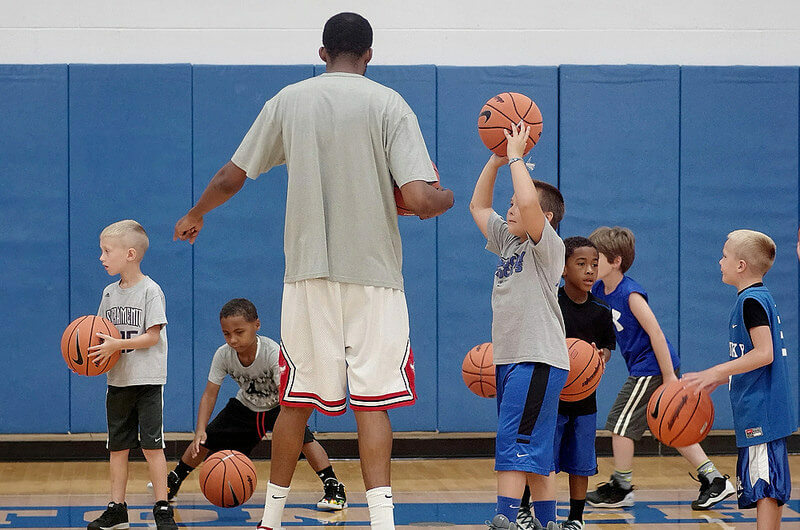 Coaching basketball for beginners may seem pretty daunting at first. But before even thinking about the Xs and Os, practice drills, or player positions, it's important to take the time to establish some foundational principles upon which to build your coaching philosophy. Stay true to these principles as you design your practices, instruct and correct your players, and conduct yourself during game situations and you'll be on your way to ensuring a successful and memorable season for every member of the team. Playing youth basketball should be a positive learning experience for kids. It's up to you as the team leader to create the type of practice and game environment that's good for your players. I want to pass on a handful of coaching rules that I believe are vital to keep at the heart of your program. They've served me well over the years working with players of all ages. If nothing else, these tips will serve as a reminder that the best thing we can do for our young athletes is to provide an environment that fosters success. This is the #1 most important thing to remember. Whether you're coaching girls basketball or boys, when the game stops being fun kids will want to stop playing. It breaks my heart when I see it. But I see it time and again. There comes a time when basketball stops being fun for many. Now, granted, there are lots of reasons for this. Sometimes it's unavoidable as players advance and games become a lot more competitive. But at the very beginning, when they're young and starting out, kids just want to have fun. And you as their coach have a huge influence on whether they have a good basketball experience or not. Your attitude and interaction with them sets the tone. So, as you begin teaching them how to play basketball, don't forget to make it enjoyable! You've probably noticed there are tons of basketball practice drills out there to choose from. And as a coach and player, I can tell you there are some drills that players love. And others that they hate. As much as possible, try to make drills game-like. Whether it's players competing against each other, against another team, against the clock, or trying to beat their own personal bests, you'll find that practice intensity and individual motivation increases when kids feel like they're playing a game. Don't be afraid to use your imagination and create simple games, relays, etc. of your own! 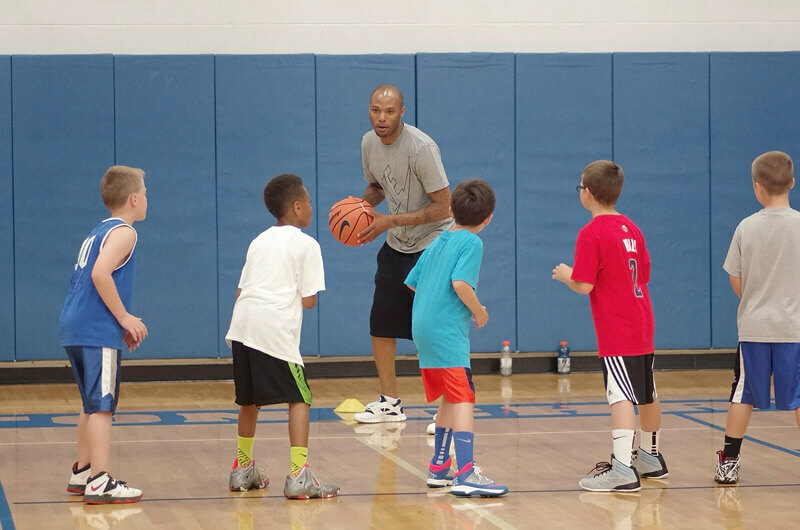 Try out some fun basketball drills and see which ones your players like. There's a lot of information on this site. And it may seem overwhelming at first. It's not all intended for the very young ones. It may only be appropriate to focus on a few coaching tips at a time with each skill. Take baby steps. Progress slowly. The last thing you want to do is over-teach and over-analyze skills for young players. First of all, their minds aren't developed enough to soak in a bunch of new information at one time. Second, many of them may not yet have the motor skills they need to do everything you ask. There's a lot of motor planning involved in executing basketball skills, and some kids aren't able to control their bodies with the precision needed. And third, if you bore them with too much talking, they'll tune you out. There's a fine line between providing enough information so your child can have some success and sending them into mental overload! I recommend limiting your instructional time to about 5 minutes with a maximum of 3-5 coaching points. It's not the goal at the beginning when coaching youth basketball players to create a bunch of all-stars. Elementary school is not the time to demand perfection or skill mastery. Some kids will be more serious than others. Some players are gifted athletically. They love the game from the start and will end up playing for years. These kids enjoy being pushed and challenged to improve their skills. Others won't ever be very good or interested in the sport and are just out there for the short term to give it a try and spend time with their friends. You know your child. Set realistic expectations. When I play with my daughter, I make a conscious effort to just be "Mom" sometimes, not "Coach." As much as I'm tempted to demand a little more from her than she wants to give at times, I have to remember that she's a kid. Even though I think she has the potential to be a really good player one day, it's not time for me to push her hard...yet. Sometimes she just wants to play and goof off with her Mom, not have every action critiqued by her Coach. More than anything, I want her to enjoy our time together on the court. That means biting my lip, so I don't wear her down with never-ending coaching pointers. Coaches and parents, be realistic and expect lots of mistakes. Youth basketball isn't pretty a lot of the time! Young players won't be able to do some of the skills properly until their little bodies mature and they develop more strength, balance, and the ability to understand more complex concepts and strategies. Don't be intimidated if you're new to the game yourself. It makes me sad to see parents who won't get out and play with their kids because they don't have confidence in their own skills. I promise your little ones don't care. They just want to spend time with you. And remember, they're beginners. They don't know anything. It's just like teaching your child how to add and subtract. You don't need to have geometry all figured out. You just need to start with 1 + 1 = 2. Same with coaching kids basketball. All you need are a few good coaching points, and you'll be amazed how much your kids will learn. You won't have to look very hard to find mistakes that your young players will make. There will be lots of them. That comes with the territory any time beginners learn new skills. And though it's certainly important for players to demonstrate good skill mechanics, I challenge you at first to focus on the few, small things they do well. Early on, you might just praise their effort, attitude, or hustle. That might be about all they're doing well for awhile. As they gain a little self-confidence and experience, it'll get easier finding areas where they show improvement. Positive reinforcement is an amazing motivator. Especially for young children. Make sure every word that comes out of your mouth while you're on the court is positive and encouraging. Constructive criticism is important in correcting mistakes. But youth basketball players are overwhelmed with all of the new skills and rules they have to learn, so guard against overly negative and critical basketball coaching. You may find once league competition begins that the teams are lopsided. Often, some teams are stacked with good athletes, while others are noticeably less skilled. When that happens, coaches have an especially important and challenging responsibility not to focus on wins and losses, but to focus on areas where players are showing improvement.